The family of Abdirahman Abdi is suing the Ottawa Police Services Board, Ottawa police Chief Charles Bordeleau, and constables Daniel Montsion and David Weir for more than $1.5 million. 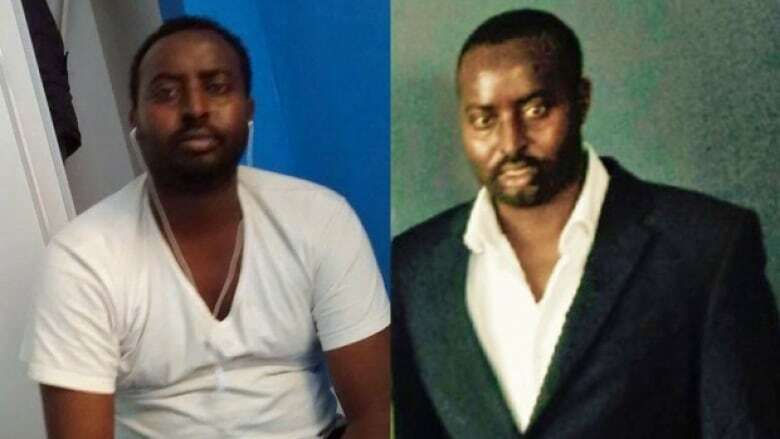 Abdi, a 37-year-old man with unspecified mental health issues, lost vital signs during a violent altercation with police outside the entrance of his apartment building at 55 Hilda St. in Ottawa's Hintonburg neighbourhood on July 24, 2016. He was officially pronounced dead in hospital the following day. The family's lawyer, Lawrence Greenspon, filed the statement of claim in court last Tuesday, arguing the defendants caused "negligent infliction of mental suffering" to Abdi's five family members, according to the document. "The real reasons for the lawsuit, for the civil action, are firstly the family's need to have recognition of the fact that what happened was wrong, and secondly they're very hopeful that as a result of the civil action, there will be real change made to the system that allowed this tragedy to happen," Greenspon said. The claim alleges the two constables used excessive force while trying to apprehend Abdi for allegedly groping people inside a Hintonburg coffee shop. The claim alleges Bordeleau failed to ensure the two officers were "properly trained," and that the police services board failed to take action to address "systemic problems at a policy level." "We think there are systemic problems which enabled this to happen, and they are very much a part of the civil action that's been brought," said Greenspon. He told CBC's Ottawa Morning that racism is not among the "systemic problems" in the claim, and that the allegations are of various kinds of negligence. The lawsuit also says that Abdi's family has suffered psychological damage because he died so close to them. "This happened right in front of where the family lives," said Greenspon. "On the ground floor in front of the apartment building, and members of the family were close at hand." Weir was the first officer who arrived in Hintonburg the day of the incident, and Montsion arrived a short time later. Ontario's Special Investigations Unit looked into the incident and did not lay charges against Weir. Montsion was charged with manslaughter, aggravated assault and assault with a weapon, and his trial is scheduled to start in February. Tuesday marked the two-year anniversary of the altercation between Abdi and police. The Justice for Abdirahman Coalition is hosting a gathering outside of Abdi's former apartment on Tuesday night. The City of Ottawa's deputy city solicitor, David White, declined to comment on the lawsuit Tuesday, citing ongoing legal proceedings.